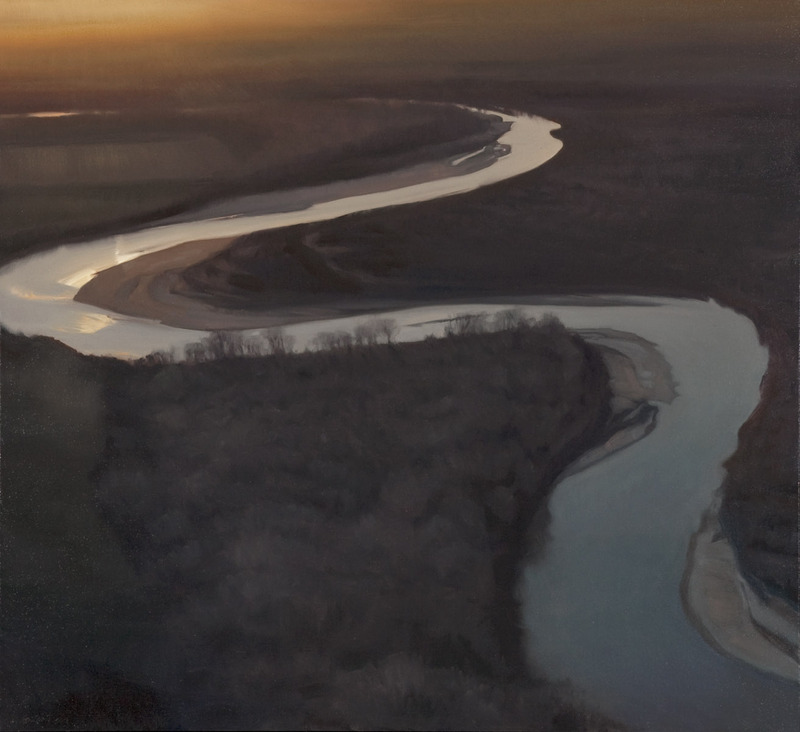 Much of my work is inspired by the Kansas River, the longest prairie-based river system in the world. It winds its way east from Junction City, Kansas, to Kansas City where it joins the Missouri River. Around mile 54 it passes through my home of Lawrence. I’ve painted from its shores, and photographed it from my kayak, explored its riparian trails and sandbars, but most of the work is created in the studio using footage I’ve taken from a small plane flying along its 173-mile reach.